Punx.nl - Forum - Fighting fiction teams up with sweet empire to release split ep on vinyl. Forum - BandsΜziek - Fighting fiction teams up with sweet empire to release split ep on vinyl. 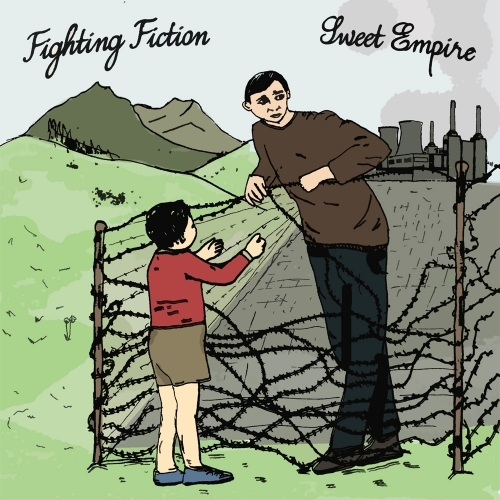 Fighting fiction teams up with sweet empire to release split ep on vinyl. Fighting Fiction’s side of the release contains two songs. ‘The Long And Short Of It’ is a song about feeling trodden on; resenting your placement at the bottom of a pyramid shaped food chain. ‘The Trials And Tribulations Of A Talent Show Contestant, “Tonight Matthew I’m going to murder somebody else’s song and pretend that it was the kindest thing to do”.’ This is a song about the depressing rise of the cult of TV personality, and the degradation of art. It features guest vocals from Corbin Parsons of thekidisfireworks, one of UK’s finest bands. This is the longest title the band has given a song ever; thanks go out to Stillbust for goading the band into that, with their inventive and hilarious song titles.